High Quality 2 RCA Phono Interconnect 0.75M - RCA Phono Cables & Leads - Audio Cable & Lead, Audio Cables Headphone Extension RCA Cable 3.5mm Jack Subwoofer, Audio cables jack cable Leads Cables Phono RCA 3.5mm jack aux headphone. Screened stereo audio cable with 2 x gold plated metal cased RCA Phono plugs on each end. 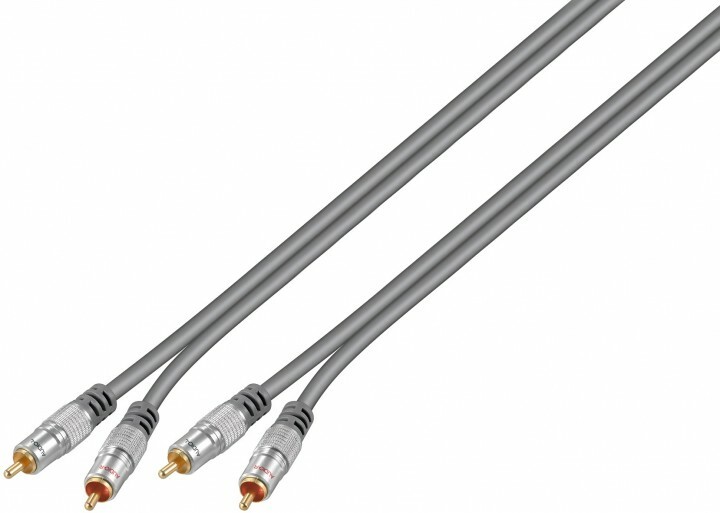 Currently viewing: High Quality 2 RCA Phono Interconnect 0.75M - RCA Phono Cables & Leads - Audio Cable & Lead, Audio Cables Headphone Extension RCA Cable 3.5mm Jack Subwoofer, Audio cables jack cable Leads Cables Phono RCA 3.5mm jack aux headphone.